Cute huh? 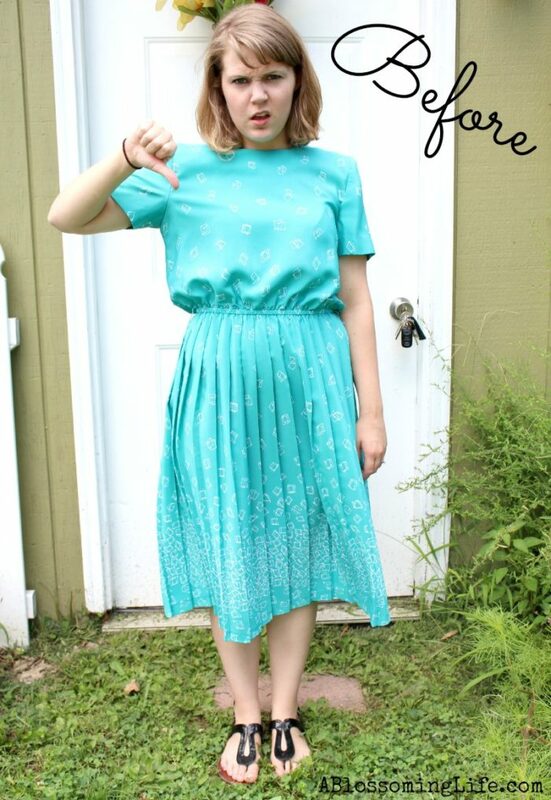 I purchased this not so pretty dress at Goodwill a few weeks back. I absolutely loved the fabric, but the size, shoulder pads, and length… not so much. So I decided to turn it into an adorable skirt! It really wasn’t that hard (especially after I figured out what I wanted to do)! Step 1: cut off the top about 2 inches above the waistband. You can tell from the picture that I didn’t really measure this. 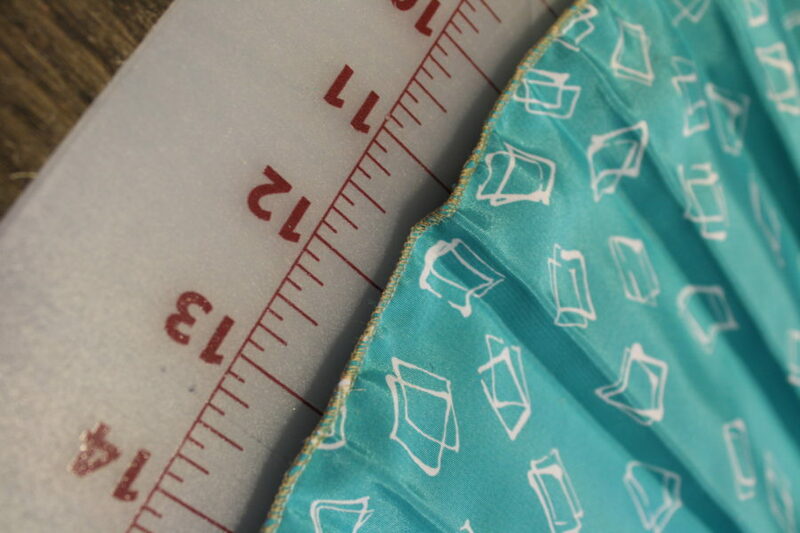 Step 2: Measure how much you want to take off the bottom of the skirt. 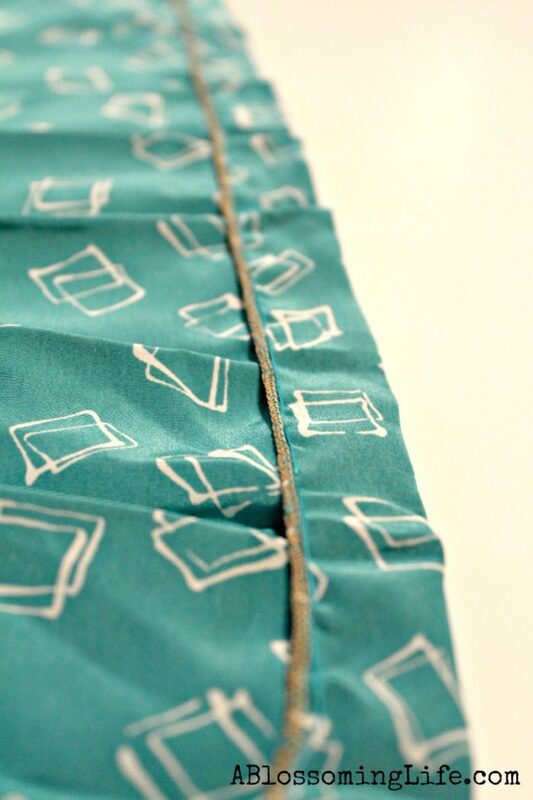 I took 8 inches off by marking with chalk 8 inches above the hem line, and then cutting on the line. REMEMBER to leave an inch seem allowance. Step 3: Serge the raw edges of the skirt where you cut above the waist band and were you cut for the new hemline. Press. Step 4: Turn up bottom of the skirt one inch (so wrong sides are touching) and press. Step 5: Sew the hem using a blind hem technique and then press the pleats back in place. Step 6: Fold the fabric above the waistband down (so wrong sides are touching), and sew under the waist band using a zipper foot to get close to the waistband without sewing on top of it. 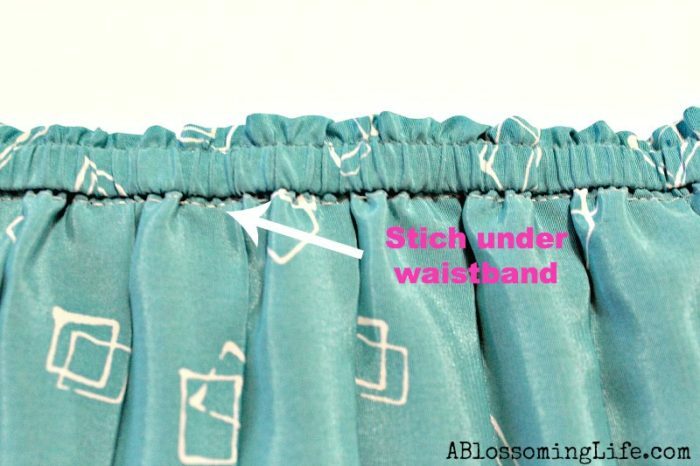 Make sure to stretch the waistband while sewing. 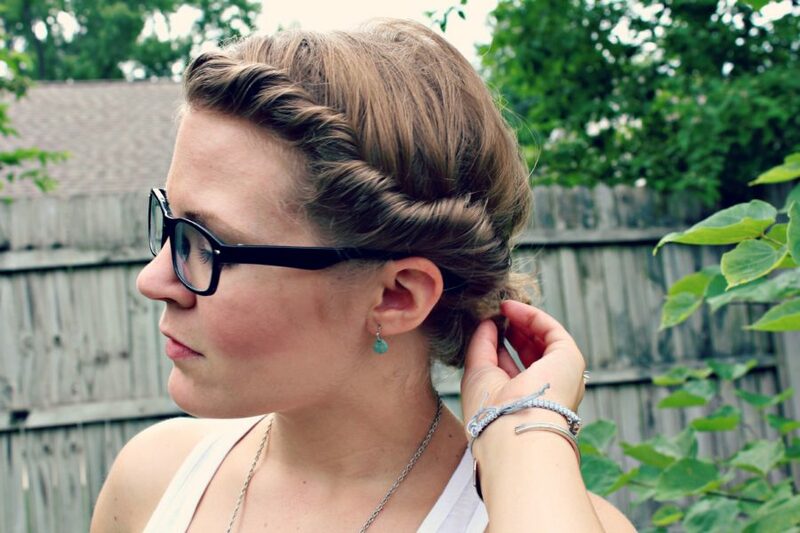 Step 7: Wear and look fabulous! 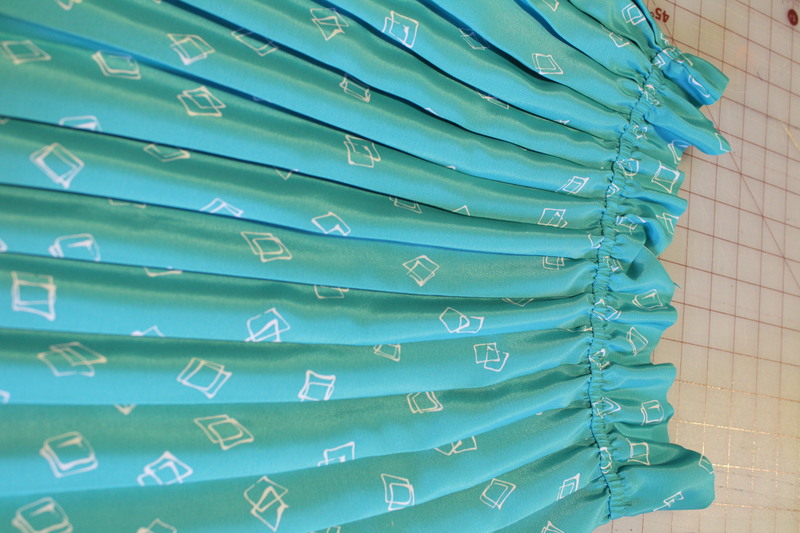 I love everything about how this skirt turned out! 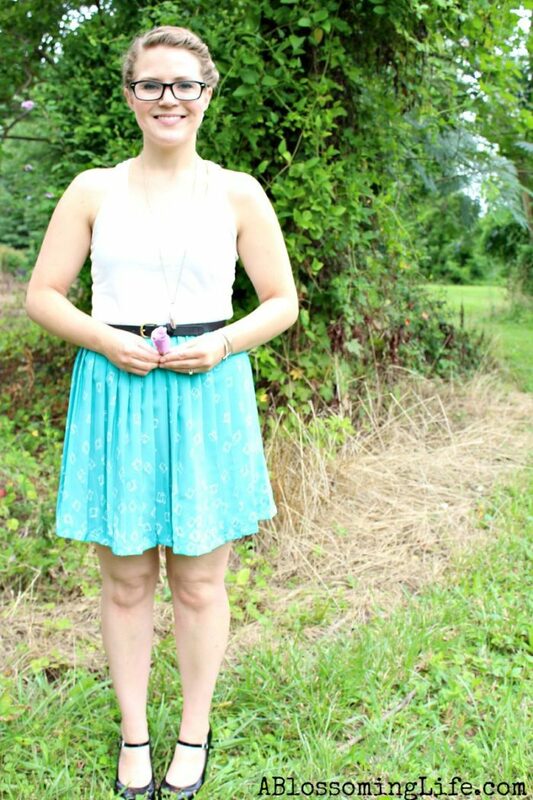 This was my first real total clothing renovation overhaul and I think it turned out pretty great! What do you think? 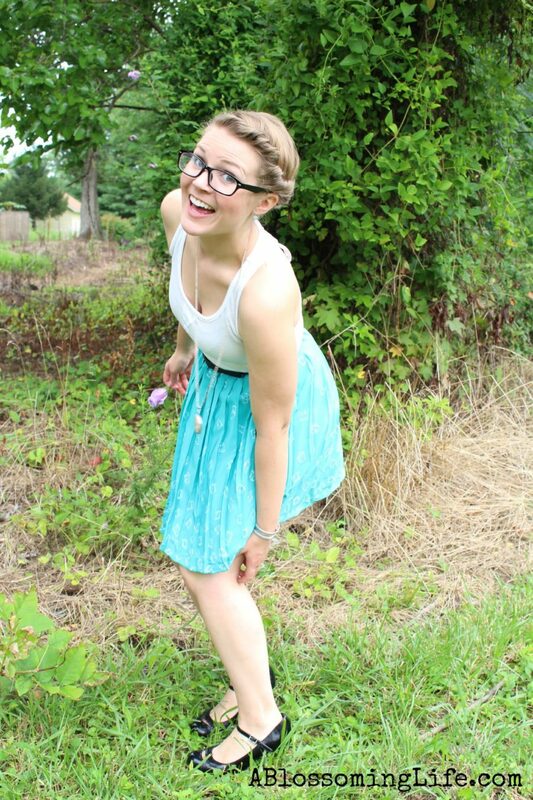 What was actually happening during most of this photo shoot was I was getting ate up by mosquitos! Seriously I got 20 bites on one leg! I tried to play it cool most of the time, but it didn’t work ha! Jordan on the other hand, didn’t get one! What the heck! Note to self: wear bug spray and don’t stand near woody areas! Lesson learned! Super cute, Amy! What kind of serger do you have? I looks like it made your reno totally easy and fast! 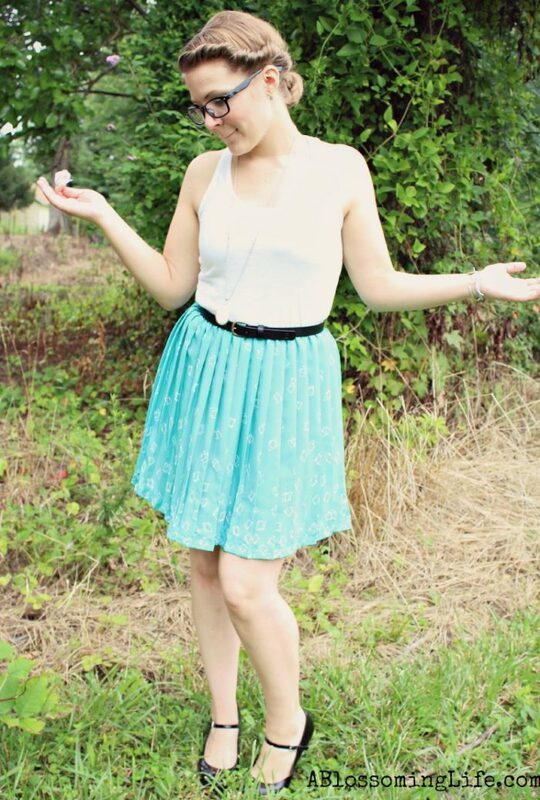 AMY, that skirt is so stinkin cute! 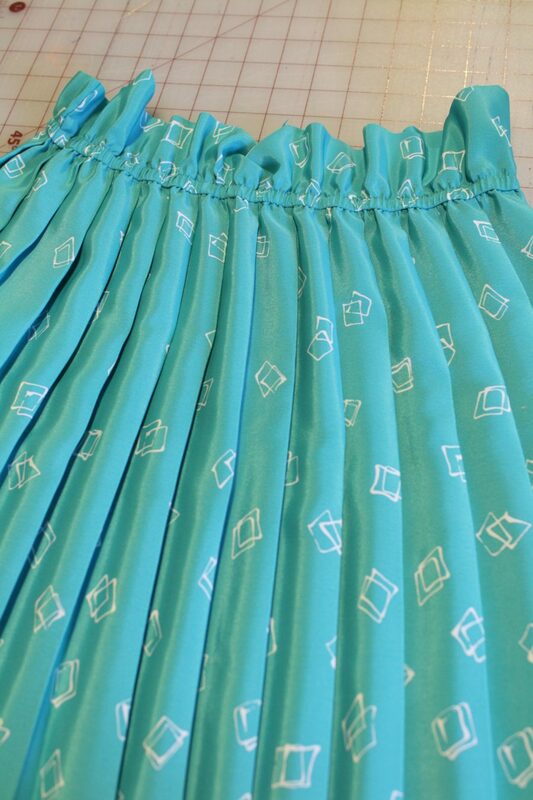 I love the pattern on the skirt! I am beyond jealous of your skills. 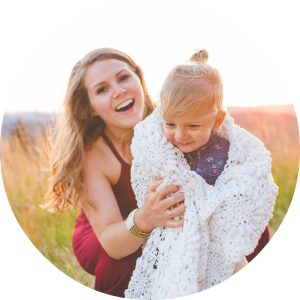 I have no sewing skills…at all! Hope to learn little by little; great job! I have to say I LOVE your expression in the before picture. Hilarious! This is a great tutorial! I’m in LOVE with pleats right now! Nice work, this is adorable. I need to get back to my sewing machine! Thanks for sharing! Love this idea! The skirt is so cute! Hi, I like your hairstyle, how do you keep your hair from unraveling?